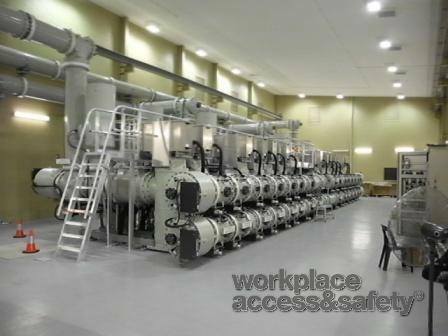 European manufactured plant and machinery was exported to Endeavour Energy in Sydney, and installed without the necessary access equipment to comply with Australian Health and Safety legislation. 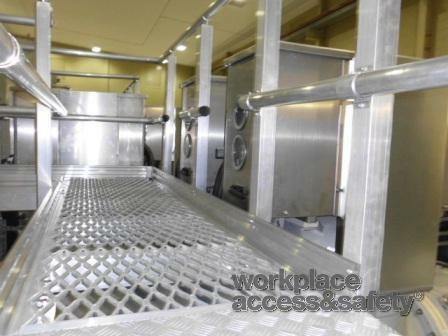 Access equipment must comply to AS/NZS 1657-2013 to meet Australian Workplace Health and Safety laws. 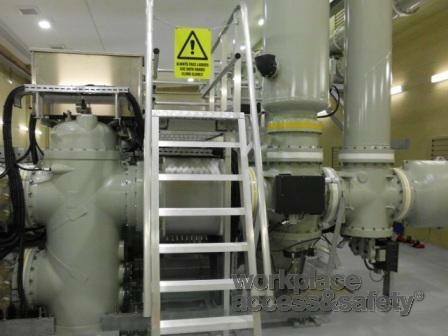 Workplace Access and Safety’s Sydney division was approached by Alstom Grid in Switzerland, to design, fabricate and permanently install elevated working platforms for Endeavour Energy so that all of the service and maintenance points could safely be accessed on the plant. When platforms are elevated over 300mm in height, it is a requirement of the National Construction Code (formerly the BCA) and Australian standards that guardrail is installed to the perimeter, with stair or ladder access. The system was designed and CAD drafted over the original installation drawings. 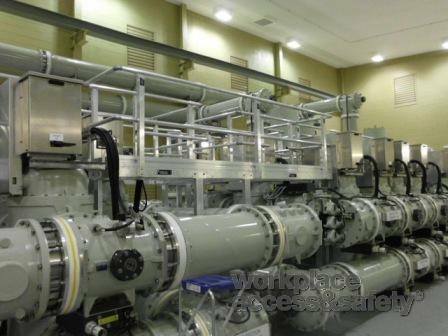 As soon as these were approved by Endeavour Energy, fabrication proceeded. 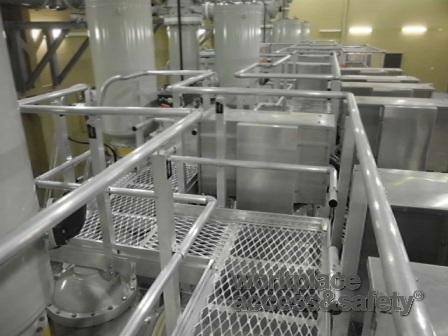 Step type ladders were custom fabricated and installed for safe access to the elevated platform from ground level. 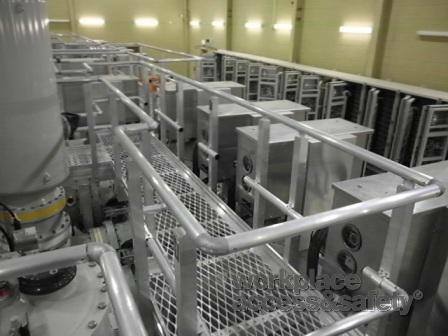 Eight individual platforms were installed to access all of the serviceable areas in the equipment. Through consultation with the client, the platforms were further customised to ensure that access was available to all serviceable areas. Endeavour Energy’s platforms and walkways now comply to Australian standards and working at heights laws.